Can't Beat Your Brother At Counter-Strike? Hire A Pro. 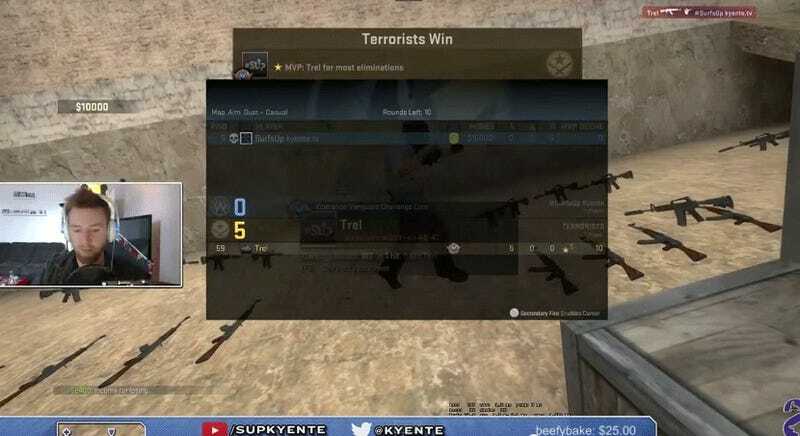 Counter-Strike: Global Offensive streamer Kyente would have had a field day destroying his brother live on his birthday stream, had said brother not tapped CS:GO pro Mitch "DUM0RE" Green to play in his stead. What follows is a gleeful lesson in humility. Not only does DUM0RE completely trash Kyente in his brother Trel's name during team play, he played like a chump against the rest of Kyente's team to throw him off. Then Kyente challenged his "brother" to a one on one battle, and it's just sad. The moral of this story is that brothers are the best jerks in the world. I highly recommend picking one up if you haven;'t already.